Lazy Repository Installation Guide - The only repo you need! Lazy Repository Installation Guide – The only repo you need! Aren’t you tired to keep on installing different repo when you want to try a new addon?? ?… I don’t know about you, but I feel really lazy to do so… Its a quite annoying task to add an external repo source every time when you want to install a new addon or repo. For users who are like me out there, this Lazy Repository is like a treat for us. The Lazy Kodi Repository is a newbie in the Kodi community. We all know that the repo is actually a place where multiple files are located for distribution/ hosting. But, Lazy Kodi repository does not host any file, instead, it hosts the other repository links. In other words, it is a one-click portal which gives access to other repositories. The repo includes a number of Kodi builds, Kodi add-ons, and Kodi repositories. On a total, it has 54 repositories and 7 Wizards, and you can install all those files form lazy repo. This reduces the time which we take to search for the exact URL of a repo and also avoids many manual errors which we make while entering the repo URL. Unlike other Repositories, the lazy repo will never shut down because it just hosts the repositories and builds link alone. It is also compatible with different platforms like Firesticks, Roku, and other Android TV Boxes. Let us how to install the Lazy Kodi Repository. Step 1: Launch your Kodi. Select the Setting gear icon present at the home page. Step 4: Add source file dialog box will pop-up. Select none. Step 5: Enter the path for the source file. Type the Lazy repo URL: http://lazykodi.com/ and select Ok (either copy and paste this Url or be cautious when you entering it, in order to avoid manual errors). Step 6: Enter a name for the media source file tab will be there. Give a name of your choice. Adding a name for the source file is just for your identification. Step 7: Head back to the home page and Select Add-ons from the menu list. Step 8: Select the Package Installer Icon that is present at the top left of the page. Step 9: Now, Click on the Install from zip file. Step 10: Install from zip file dialog box will pop, Search for the source file name you have entered. Step 11: On opening the lazy repo zip file you will find a list of repository files, wizard file and much more. Now you can select your desired repo and can install it. Step 12: Wait till the repo file gets downloaded and a notification will appear shortly at the top right corner. Step 13: Now go to Install from repository. Select the repository and install your favorite add-ons and builds. 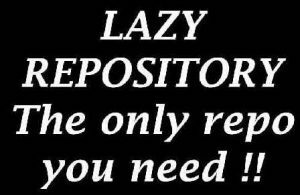 That’s all about Lazy Repository. It just fits as an exact example for the statement ” Lazy people find the easiest way to do a difficult job”. After using this repo, it will surely be on your favorites list. Install it and enjoy its service. If you find any difficulties with the installation procedure or any feedback, kindly comment below.